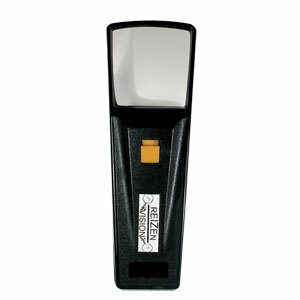 ReizenUSA.com - REIZEN Illuminated Pocket Magnifier - 2X 1-3/4 in. REIZEN Illuminated Pocket Magnifier - 2X 1-3/4 in. Sq. Lens. • REIZEN Illuminated Pocket Magnifier with 2X 1 3/4"Sq. Lens.